the Apollo 12 mission in November 1969. 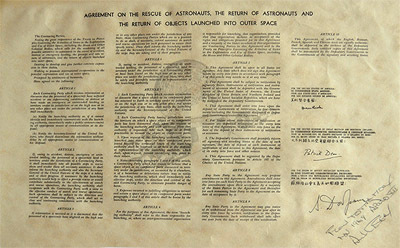 This Apollo 12 flown UN Space Treaty is printed on high quality vellum, and measures approx. 8x5 inches. It is lunar orbit flown in the command module by Alan Bean. 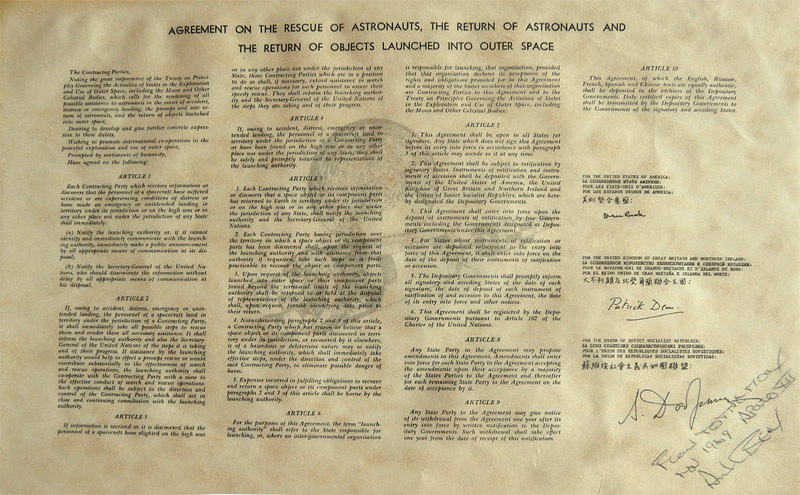 The treaty is the all important "Agreement on the Rescue of Astronauts, the Return of Astronauts, and the Return of Objects Launched into Outer Space." This treaty was critical during the cold war period for nation's - particularly the USSR and the US -- to be able to retreive their space faring citizens and equipment should they accidentially land on foreign (as opposed to alien) soil. 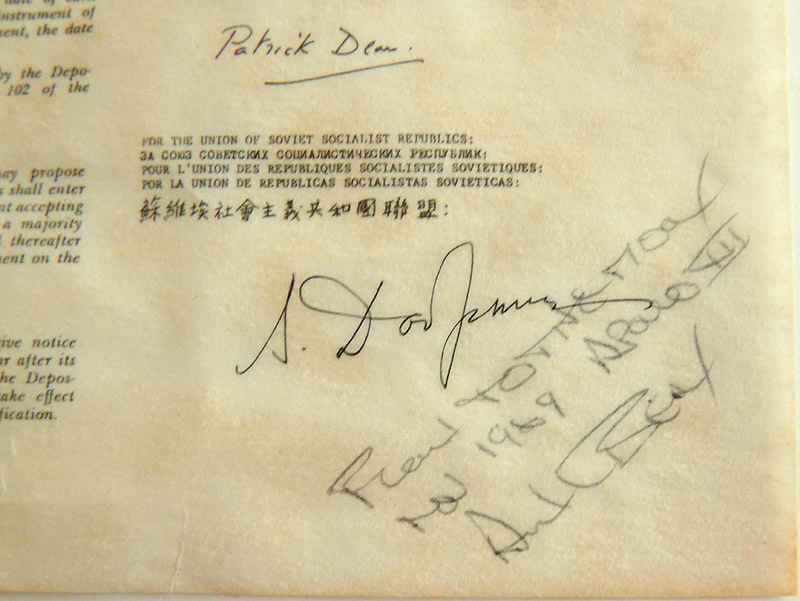 It is facsimile signed by representatives of the USSR, US, and Great Britain. This treaty is still in effect today, making this treaty probably one of the few copies of an international treaty ever flown to the moon. Alan took a number of copies with him in his CM PPK, and this is one of them, signed in ball point by him and flight certified in his hand. "Flown To The Moon Nov 1969 Apollo 12 Alan Bean"
You can see that there was a slight tear to the vellum, to the left of the signature, that does not detract at all. It was repaired and stabilized by a professional archivist. This treaty is very attactive and would display extremely well framed.